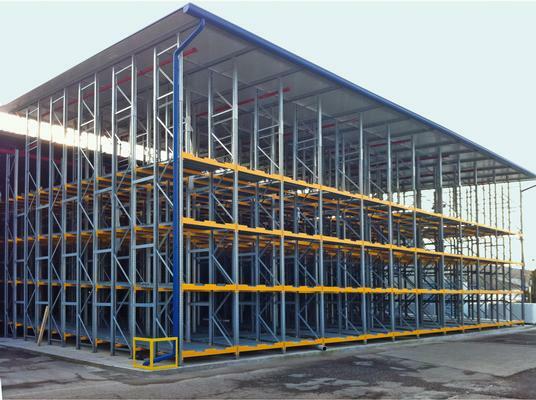 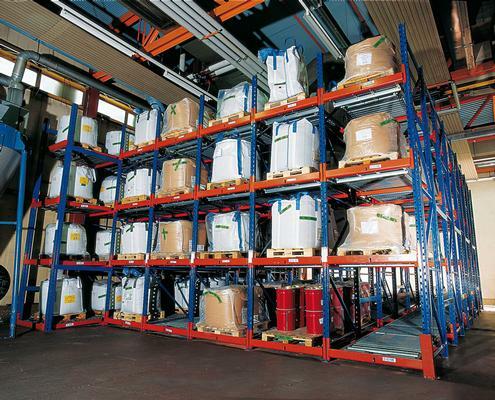 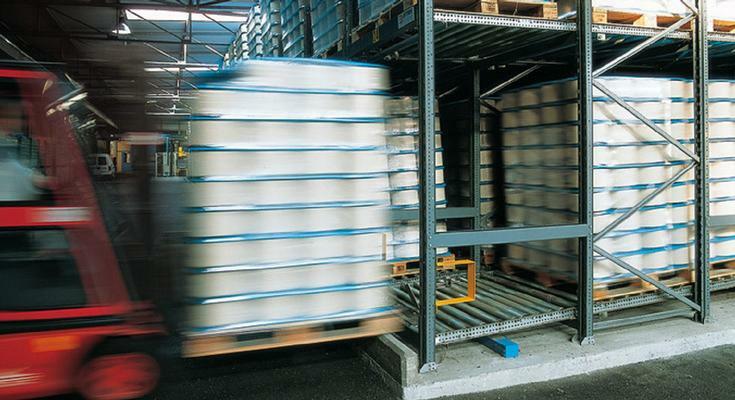 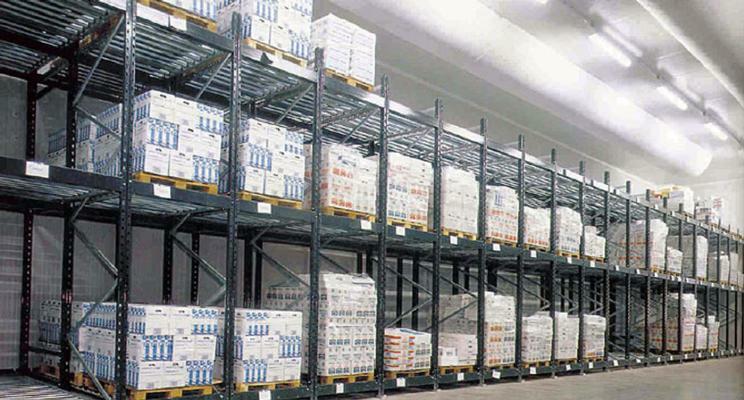 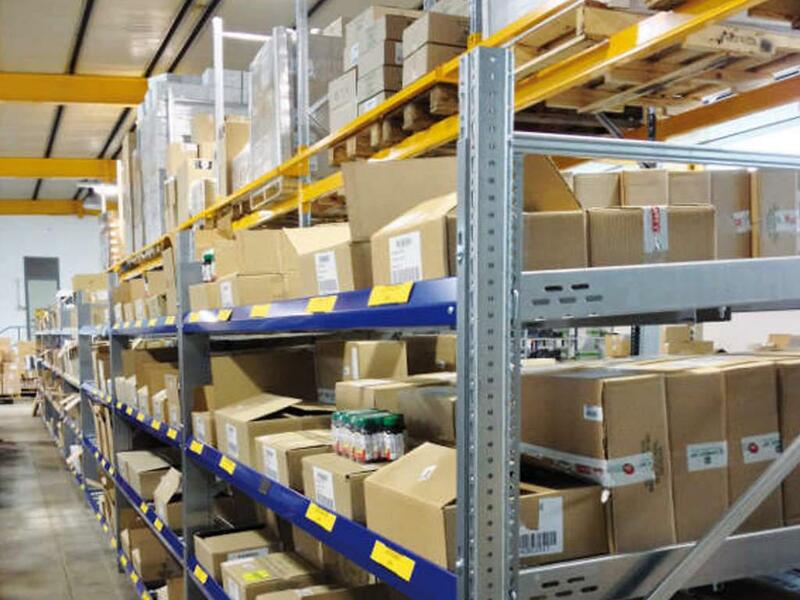 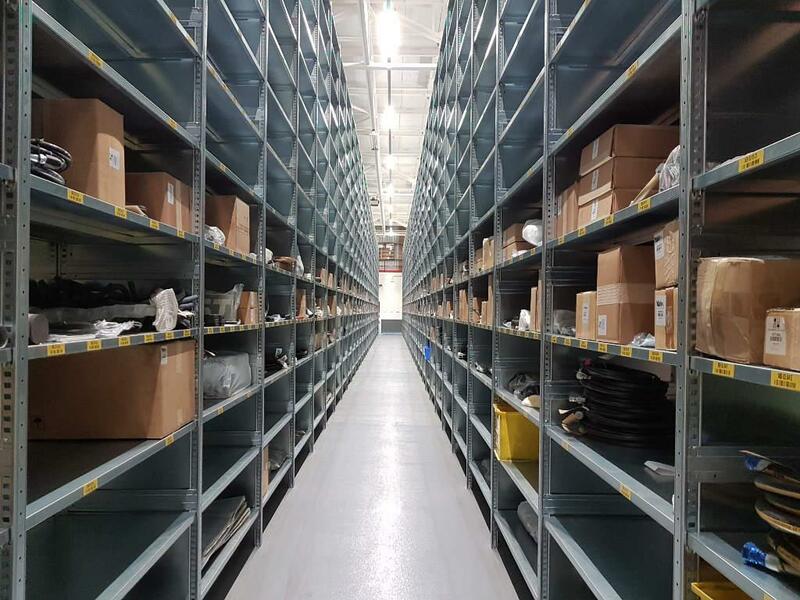 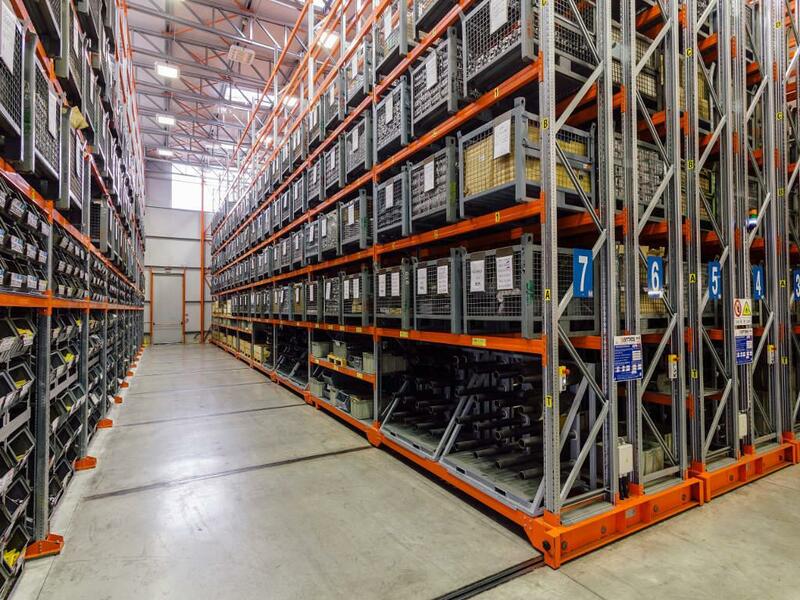 The heavy gravity-fed racking systems are the ideal solution for high density storage of homogeneous products with high rotation frequency. 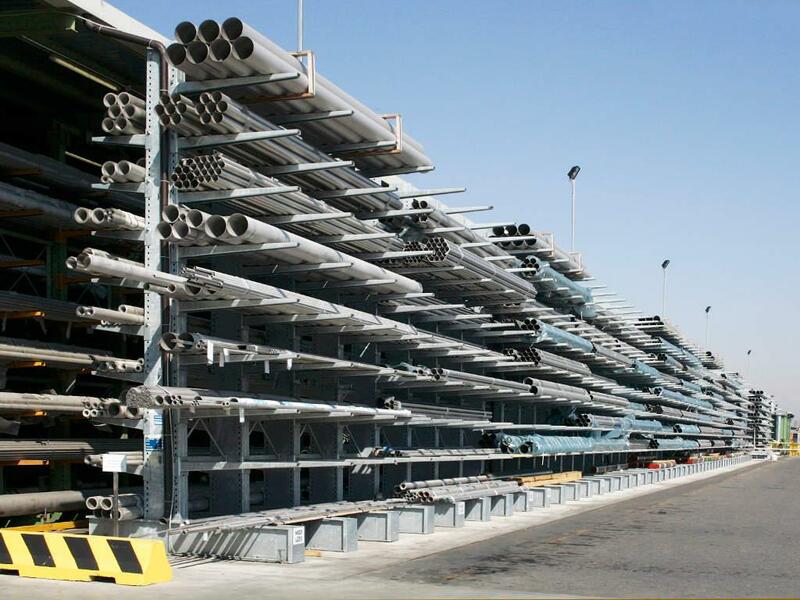 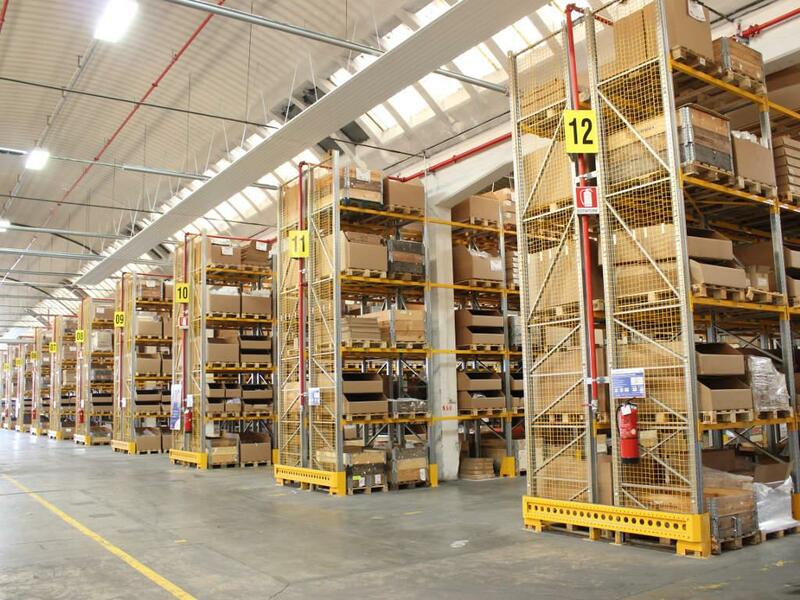 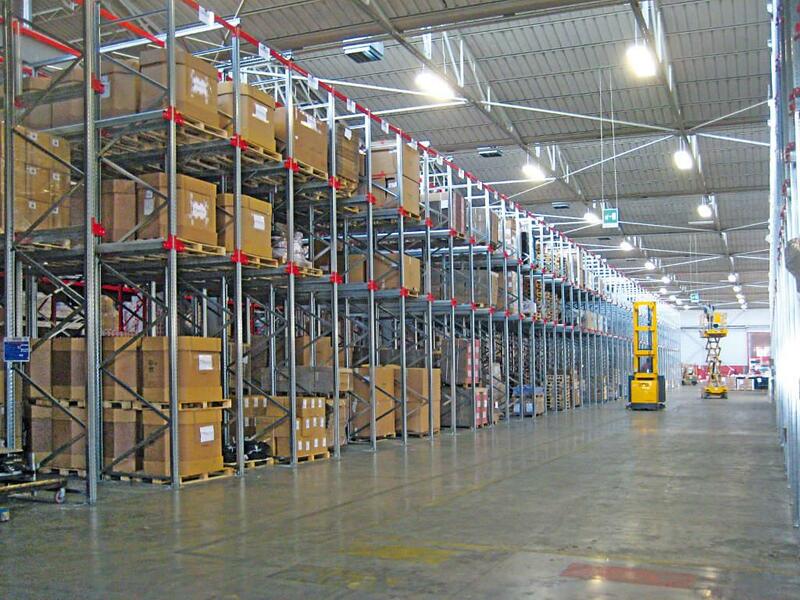 These systems are characterized by inclined shelves having lanes equipped with idle rollers. 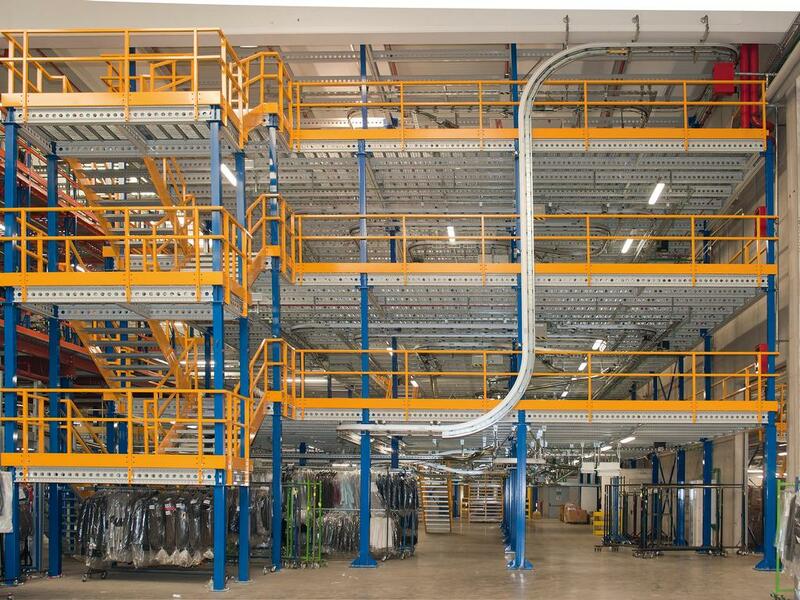 This configuration limits the constraint of product homogeneity to a single lane, enabling significant storage flexibility. 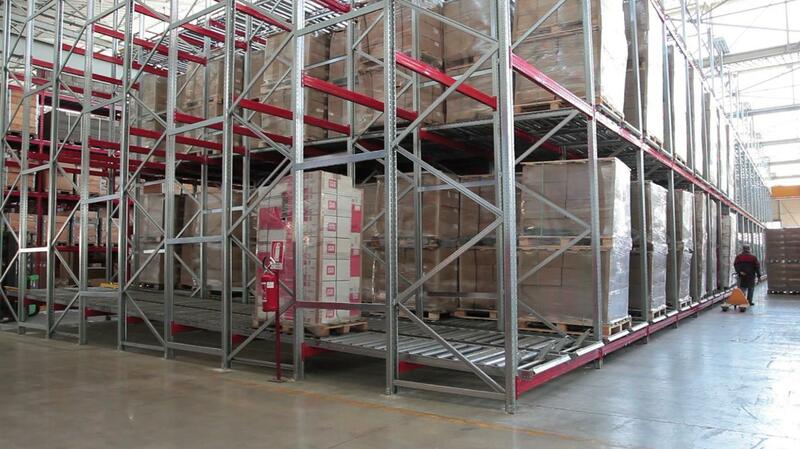 The pallet is always aligned on the picking side, facilitating highly efficient handling operations. 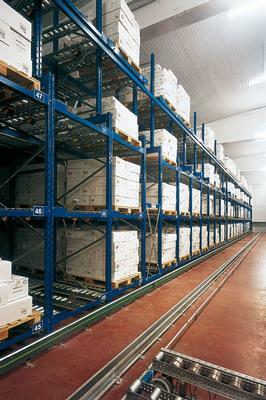 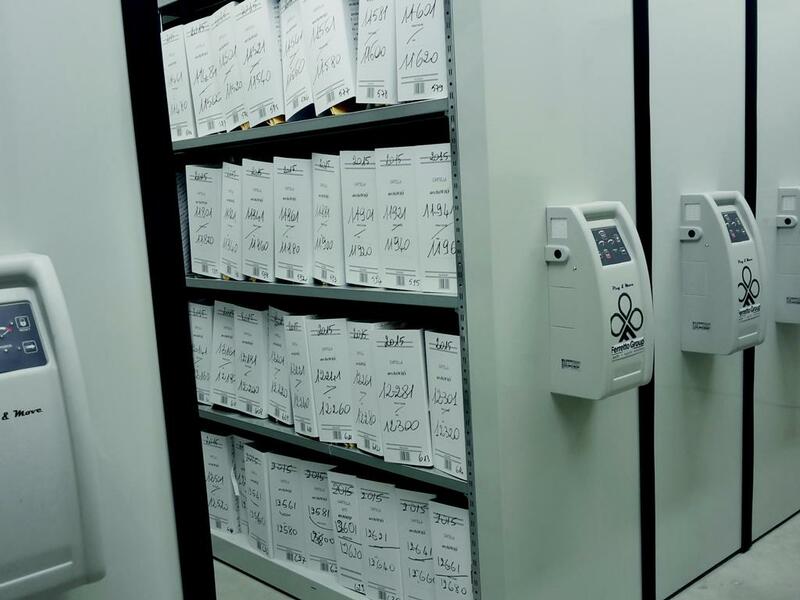 The material is stored according to FIFO logic (first in - first out), an indispensable solution in the management of products with expiration dates.